If you’re looking for residential and commercial mortgage brokers in Sidney, BC, to buy your first home, refinance your mortgage, or invest your home equity, it’s important to pick someone reliable and capable of high service standards. After all, mortgages are long-term commitments, and having an earnest, helpful broker goes a long way! As a result, it’s essential to choose mortgage specialists with the right experience, credentials, and skills to serve you. However, if you’ve never worked with a mortgage broker or agent before, you may not know where to start when it comes to choosing the right one for your business or personal needs. To make the whole process easier for you, we’ve outlined ten valuable questions to ask a potential mortgage broker. 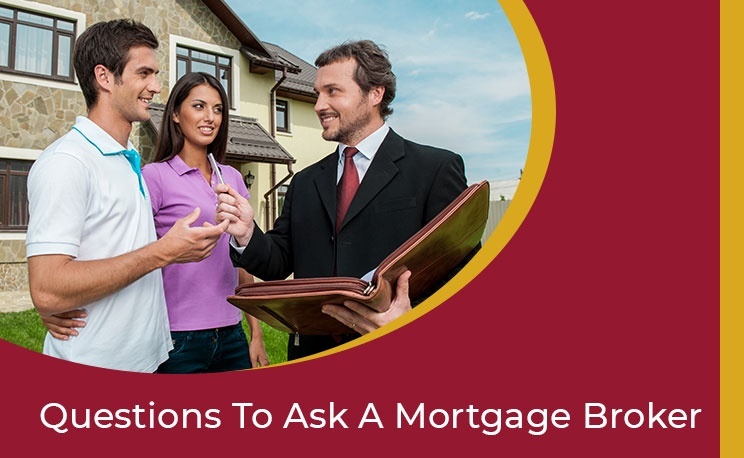 During your initial consultation, ask these questions to understand if the broker is the perfect fit for you, and competent enough to provide mortgage solutions that match your budget and your living standards. It is vital to know the years of experience a mortgage broker has in the industry to understand their level of expertise. 2. What is the stress test? A stress test is designed to determine if a borrower of low-ratio conventional mortgages and uninsured mortgages is capable of mortgage payments even if interest rates increase. Your mortgage broker should be able to explain this to you in detail and also prepare you for it. 3. How do I understand my credit score? Your credit score represents your level of creditworthiness. It is calculated based on your credit files that include your credit card, loan, and other credit details. The less credit you have, the better your score will be. 4. Is my mortgage portable? Most mortgages are usually portable, which means you can transfer the mortgage you obtained for your current home to the home you want to purchase. However, it is vital to know the terms and conditions of doing this as lenders need to value the new property. You may need to borrow more money to secure it, and there may also be transfer fees included in addition to other expenses. 5. Can I transfer my mortgage? a. Assumable mortgages: These are transferable to another person. However, that person should qualify as creditworthy and meet the lender’s requirements. b. Refinancing: It works in the same manner as assumable mortgages when it comes to creditworthiness. However, the new buyer will need to take up a new mortgage and pay off the current one. Also, you may need to coordinate with the lenders to ensure the mortgage liens are not an issue. c. Due-on-sale: This means that the mortgage must be paid in full on the day of sale. However, if this clause in the mortgage isn’t triggered, you can transfer your mortgage to another person. Usually, transfers to family members are allowed, but this is generally in the event of the death or divorce of the borrowers. 6. Can I assign my mortgage? This is possible through assumable mortgages, but the person you plan on assigning your mortgage to must match or exceed your borrower profile. At the same time, they must have a valid reason as to why they want to do so. Also, note that this is a tedious process with small chances of working in your favor. 7. What are the early payout penalties? Often, lenders charge penalties for repaying the mortgage before the due date (that is within the first three to five years). As mortgages involve considerable amounts to pay back, early payouts are not something to worry about. However, early repayment penalties arise when you refinance your mortgage, and most lenders charge around 2% to 4% of your mortgage amount as penalties. 8. Can I lock in a variable rate mortgage? For this, you need a closed variable interest rate mortgage. It is a five-year mortgage option that allows you to lock in your interest rate by converting to a fixed rate mortgage whenever you like. However, conversion rates are typically inflated, so it is advisable to ask your mortgage broker for more information. 9. Can I make increased payments if I have the money? You can pay more by a certain amount every year based on your mortgage contract, but if you exceed this limit, you may face prepayment penalties. Moreover, once you increase your payments, you are usually not allowed to reduce them until the end of the mortgage term. 10. What is mortgage creditor insurance? Mortgage creditor insurance is designed to repay your lender in the event of your death, critical illness, job loss, etc. It is beneficial as you, and your loved ones don’t need to worry about bearing the responsibility of making payments. If you’re looking for a mortgage broker in Sidney, BC, who can expertly guide you through the different mortgage options available, reach out to Yardale Mortgage. In addition to mortgage products, our founders have a vast knowledge of real estate development and management. They’re also recognized brokers in Canada and have a collective experience of forty years in the mortgage industry. As a team, we are passionate about educating our clients and helping them understand the mortgage landscape. It enables smoother decision-making and encourages them to be more confident as they move closer to owning their dream home. To know more about mortgages and the best ones for your needs, reach out to Yardale Mortgage today! Alternatively, you can take a look at our services here to learn more about our potential as mortgage brokers.